Posted: Mon Sep 17, 07 10:15 am Post subject: An absolutely cracking start to the season of plenty. 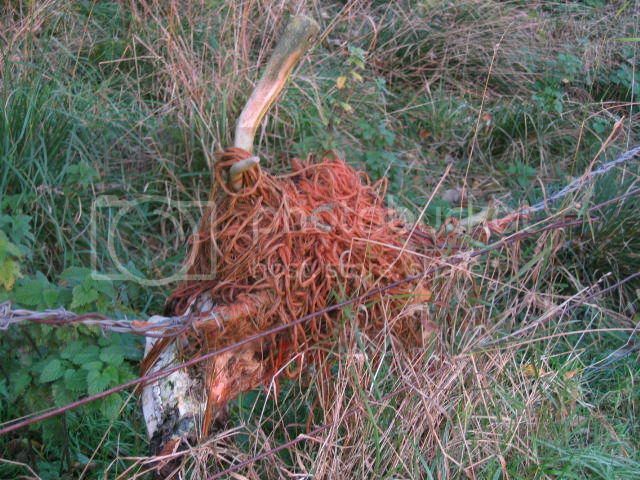 I also saw a fallow buck that had something white attached to his antlers and as I have seen what can happen when they try and get things off their antlers like this poor fella. I decided to stalk him and find out what it was, with a view to cull him if it was anything that might endanger him at a later date. 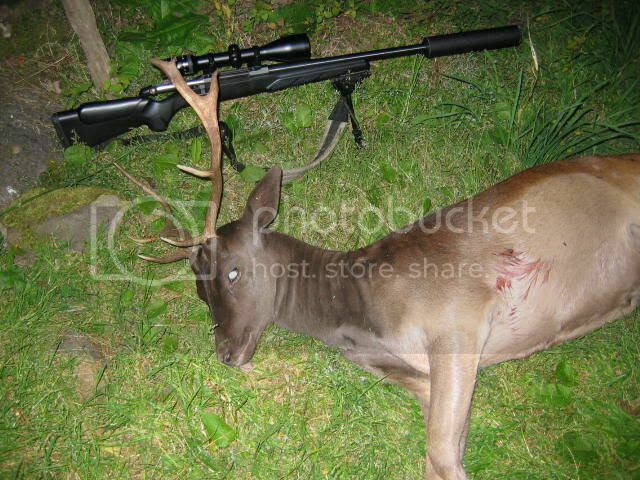 I had an easy stalk to start with as he was last seen below the brow of the field in a rough area. I managed to get behind a bale overlooking the area and as the light faded he started to browse on the local vegetation and had no idea I was there. The white mess appeared to be bale wrap with sticks and wire in it, so I felt he needed to be culled to prevent what happened to the above happening to him. Where he was wasn`t a good shot so I again crawled across the stubble to a dry stane dyke and I was able to get a good shot off which he jumped and fell at. I left him for 5 minutes and then went and gralloched him and got him in the back of the motor, with the aid of 2 fence posts as he was a heavy buck. 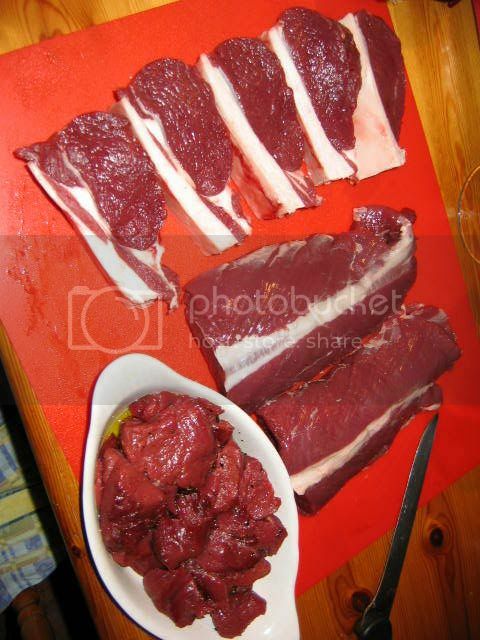 He had a lot of fat on him and was in very good condition as can be seen on the backstrap fillets here. 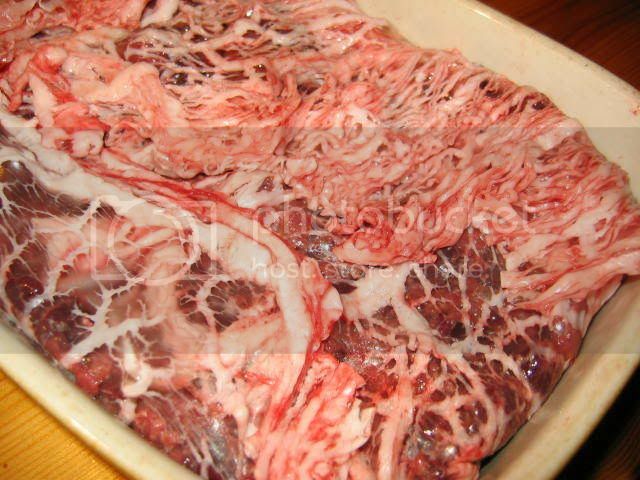 The dogs have had a few bones and I`ve been O.D.ing on fresh steak and stews from the tough cuts and offal. 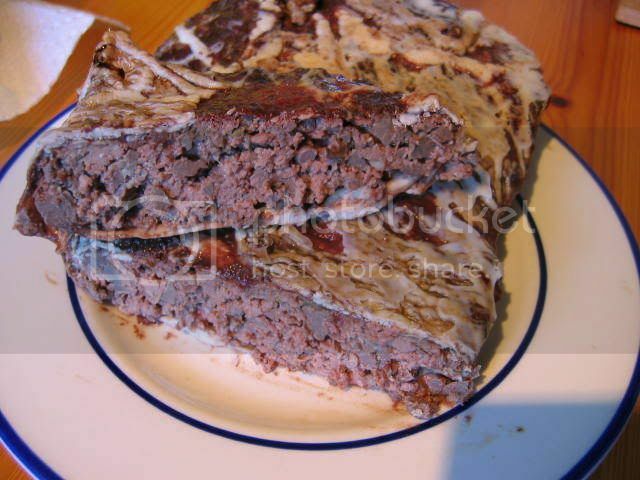 He even had a good layer of caul fat so I used some when I made a terrine of offcuts and liver. What with all the meat and berries and soon the apples, it looks to be another bountiful season for which I give thanks ! Fillets look lovely don't they? they do, but the steaks are tempting me more. That reminds me KnG I must go down to the woods shortly He sure was in fine condition. Now that is gorgeous butchery. Real touch of class. You can dismember my prickets any day of the week, KnG. Many thanks, all it took was time and patience.............and a well placed 139 gn sp.